The bad news is that I’ve fallen way behind in my blogging. The good news, however is that the last few months have been full of incredible experiences in the natural world that I look forward to sharing. So as we are sweltering under near record heat waves, I will share a few posts from this spring, and reminisce about cooler times. This first post addresses the third, and unfortunately last species from my list of biodiversity goals that I have checked off this year. In early May I photographed the spectacular Clasping Jewelflower (Streptanthus maculatus) in East Texas. This member of the mustard family (Brassicaceae) is very rare in Texas, known from only a few sites over the Weches formation in the eastern part of the state. Here it occurs in a few scattered populations where the iron-rich formation has been exposed. I learned of this particular population near the Anderson/Henderson County line from my friend Trey Anderson who had found them a few years ago while performing some work in the area. They occur on a steep exposed hill with a mix of artificial clearings and stunted forest over gravelly Weches substrate. This soil is extremely rich in iron and it shows in the color of the hillside. The Weches Formation is part of a broader collection of geologic formations known as the Claiborne Group. This group also includes the Yegua, Cook Mountain, Sparta, Queen City, and Reklaw Formations. 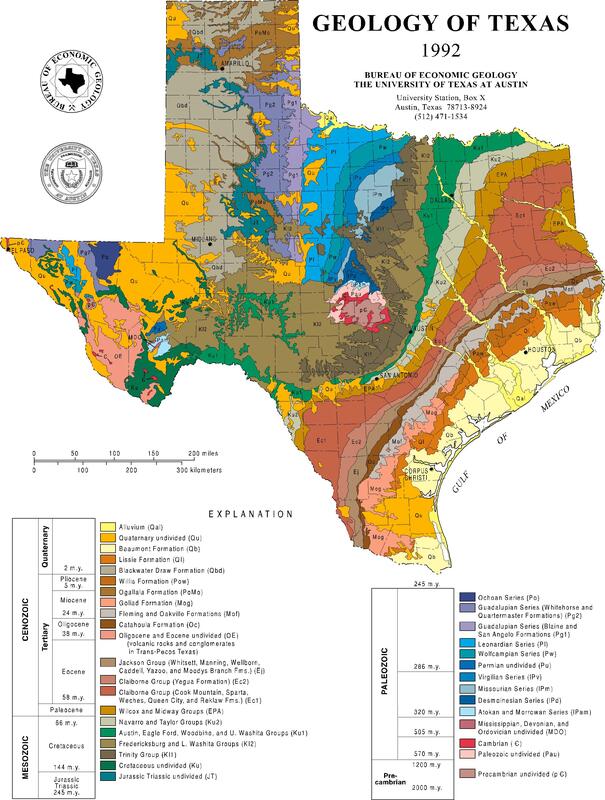 These occur along with the Weches Formation as a matrix in a broad area that encompasses a narrow band that stretches from Cass, Marion, Harrison, Rusk, Nacogdoches, San Augustine and Sabine Counties in the east along a curve down to Webb and Zapata Counties in South Texas. (See a map here). I have previously written a blog post about Weches Glades, a unique vegetative community that occur at a few sites in Nacogdoches, San Augustine, and Sabine Counties. Streptanthus maculatus once occurred here as well, and can probably still be found at a few existing sites. Many populations have been lost, however, to land use conversion and extensive glauconite mining. 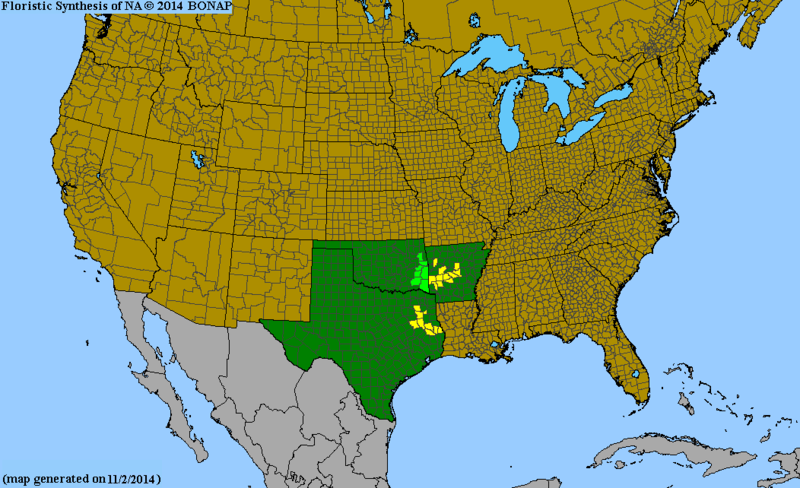 Elsewhere in its range S. maculatus occurs over similarly iron-rich deposits in eastern Oklahoma and western Arkansas. I was a bit late in seeking these jewels out this year, as most were already spent or in fruit. The individual pictured was the only one I found in decent shape. I’m not complaining though, for it gives me something to look forward to next year, and will afford me another visit to the unique, disappearing communities of the Weches Formation.